The woman who greeted our car told us that this was a place of prayer and ceremony and that “we take care of each other here.” She asked no questions of us, all non-natives ourselves. I sensed that trust was given, not earned; everyone was held to high standards of integrity, hard work, and cooperation. Her directness and warmth helped ease my anxiety; thoughts of the angry man at the gas station began to fade. I immediately began to settle into the spirit of camp. I felt like I knew everyone I passed on the makeshift roads of camp. Folks smiled and acknowledged each other. I heard dogs barking. I saw children playing. Much of my time was spent cleaning and organizing piles of donations, serving nourishing food, and building tipis and yurts to prepare for the brutal North Dakota winter. Eventually, I would find myself covered in bits of hay as I sewed together panels of burlap for insulation. Working toward justice is messy, maybe, but simple. Everywhere I looked, I saw people jumping up to help one another without hesitation. The elders told us constantly, “You’re here to pray.” Pray? This used to be such a loaded word for me as someone who grew up and became disillusioned with the idea of asking an old white guy in the sky to wave his magic wand and give me what I want. But that’s not the kind of prayer the elders were talking about. Of course, the Sioux pray petitionary prayers, but they’re not one-sided demands or requests. Those prayers come from a deep understanding of relationship with Mother Earth and offerings are made to Her as appeals are made. Body, mind, and heart must be prepared beforehand. I was instructed to always wear a skirt, the traditional sign of a woman in ceremony, as everything I did in camp, from cooking to sewing to carrying water, was part of our prayer. I came to know prayer as a dynamic embodiment, the place from which my whole life is meant to arise. The new world my heart knows is possible already exists. I’ve seen it. I’ve seen people, native and non-native alike, praying peace, equity, and reciprocity. The Rev. Chelsea MacMillan is a minister for the spiritual-but-not-religious and co-founder of the Brooklyn Center for Sacred Activism. She has led healing and meditation programs for The Reciprocity Foundation, served as interfaith advisor for Kids4Peace, and leads social justice initiatives for One Spirit Interfaith Seminary. 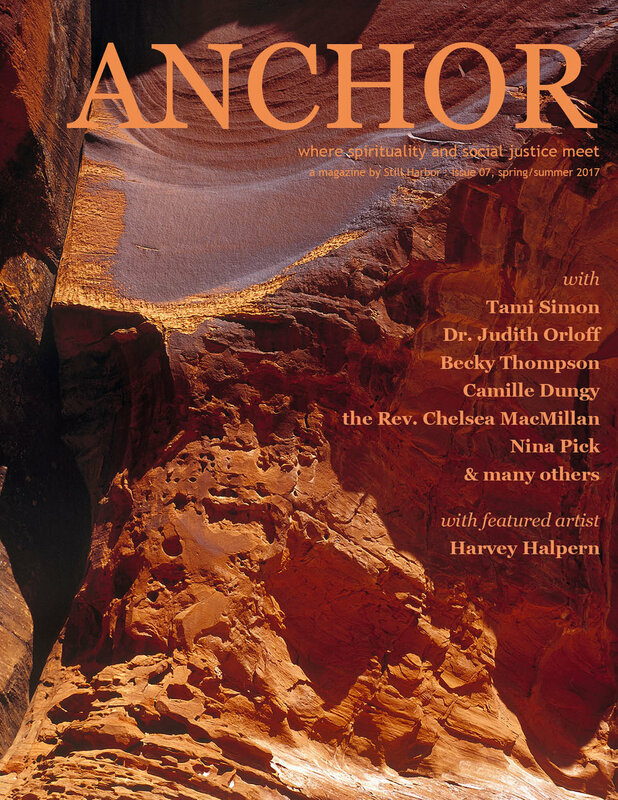 She’s a fellow of Still Harbor’s 2017 Spiritual Direction Practicum and her writing has appeared in Anchor magazine and on Patheos.com.